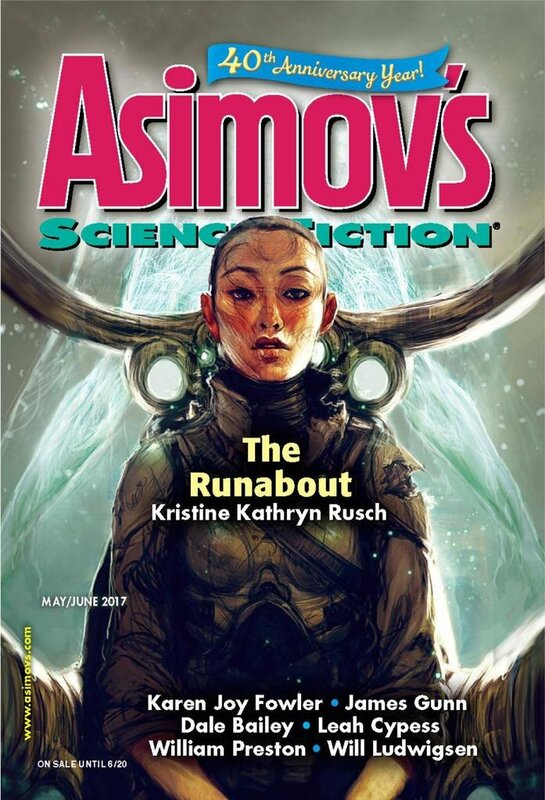 "Persephone of the Crows," by Karen Joy Fowler [bio] (edited by Sheila Williams), appeared in Asimov's Science Fiction issue 05-06|17, published on April 20, 2017 by Penny Publications. Pro: Polly’s character really comes to life, and we like her a lot. There’s lots of tension when her father is driving drunk. And it’s rather sad that she ends up a street person in San Francisco at just 13. Con: There’s not much of a plot here. Polly isn’t really trying to accomplish anything at the start, and by the end she’s simply wandered off.